WHAT IS NEO YOUTH ELITE? 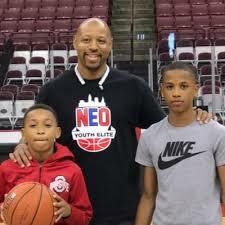 Northeast Ohio Youth Elite is an organization that hosts basketball camps & showcases for young basketball players to improve their skills. We also help young athletes get local, state, & national recognition for their outstanding effort and talent on the basketball court. Once players attend a NEO Youth Elite camp or showcase, they will play against great competition. Players also get skill training from some of the nation’s best. Our trainers are skilled at recognizing talent and providing appropriate feedback to athletes in an effort to help them reach their full potential. Players will be evaluated according to their performance during camps by qualified basketball evaluators. WHAT INSPIRED NEO YOUTH ELITE? 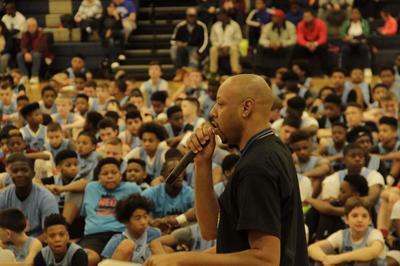 Johnson prides himself on working tirelessly for his basketball players to make sure they have the opportunity to attend college on basketball scholarships. He does this by training, mentoring, and advocating for his players. Since 2004, Coach Johnson has developed and trained 18 division one-basketball players. Below are student athletes that furthered their education and basketball careers at colleges and universities in Coach Johnson's 13 years of coaching. Some of Coach Johnson's recent graduates currently playing in college include: David Bell (Ohio State), Trey Lewis (Penn Sate), Rob Wilson (Wisconsin), Carl Jones (St. Joes) See complete list below. 2015-2016 Braun Hartfield Youngstown St.